Pack a suitcase, grab a compass, or hope you can follow the stars. Bobo Choses' Fall/Winter 2015 Collection, The Unknown Mountain Journey, captures the boldness, the adventure, and the simplicity of childhood. On this journey wild horses run free on navy and ochre. Geometric woodlands, playful clouds, and mischievous foxes welcome us to the mountain in knits, waffle, jacquard, rib, and even fleece. The minimalism of the prints leaves space for the unknown, heightening the wonderment of the collection. The comfortable shapes give your little ones the freedom and movement to make it to that magical mountaintop this winter. With sweatshirts, sweaters, tights, and even beanies you can be sure their journey is the coziest. The collection is offered in sizes 3 months - 9 years. After all, you're never to young to take The Unknown Mountain Journey. 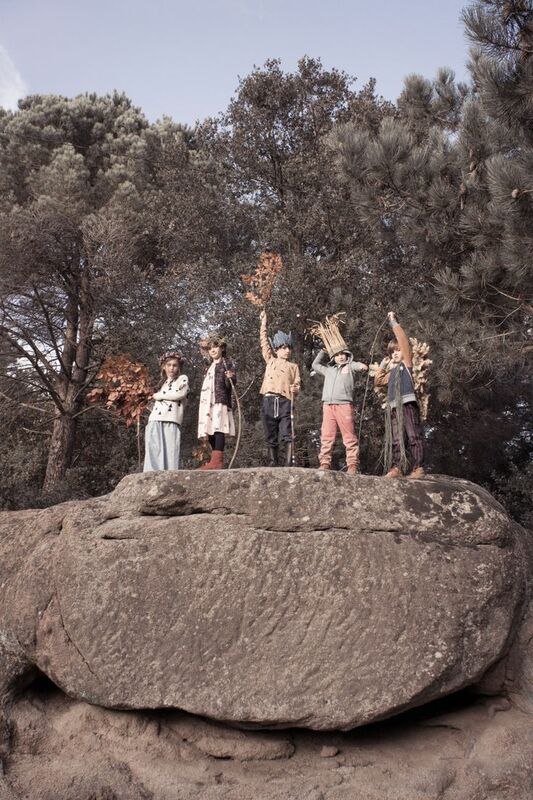 Bobo Choses is a children's fashion and lifestyle brand from Mataro, Spain. Their designs, with handmade illustrations and special characters, create fun, unique worlds for children to explore. Founded in 2008, the brand has seen constant growth with each collection. And, why not? With prints that seem to speak the language of childhood, Bobo Choses has established itself in curated children's fashion.